Years after its 1991 eruption, Mt. 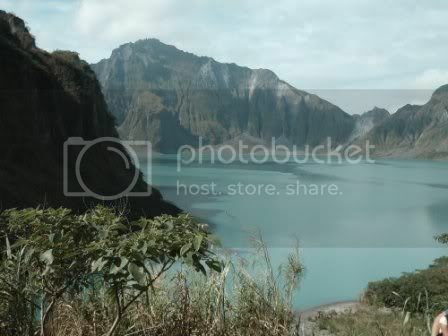 Pinatubo has now transformed into a must-see destination particularly for hikers. Surrounded by a vast expanse of lahar-filled valleys, boulders the size of cars, and inhabited by a number of local Aeta tribespeople, Mt. Pinatubo offers a breathtaking view of a hidden lake inside its crater – definitely an enchanting reward for intrepid explorers and trekkers. Rate is based on use of one (1) aircon van for the land transfers. Recommended maximum capacity is 15 persons per van. Each 4×4 vehicle has a maximum capacity of 5 persons. All 4×4 vehicles should depart the jumpoff point by 645AM. Estimated time of departure from Metro Manila is 230AM. Estimated time of arrival is 600PM. Tours are weather dependent. In the case of unfavourable weather conditions, tours may be cancelled and refund would be made. Presently, there are two trails to reach the summit. The long trail takes an average of 2.5 hours per way. The short trail is around 30 minutes per way. Trails may be damaged and deemed impassable due to weather conditions.